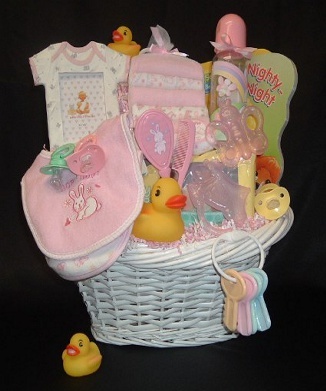 Welcome the new baby in your life with this bountiful basket. Comes in Pink, Blue, or Yellow. washcloth set, baby bottle, picture frame, bath toys, pacifiers, and teether.